I’m Mark. And This Is My Story. I’ve always had a love for real estate. I passionately believe that where we live shapes our lives and even our possibilities for happiness. But it wasn’t only passion that drove me to become a full-time realtor. It was frustration. A few years ago, my wife and I embarked on the process of selling our condo and buying a home. What should have been an exciting and hopeful time turned out to be a period of confusion and stress. In talking to others, I quickly learned we weren’t alone. Being the analytical thinker I am – by nature and by trade – I thought about our grim experience and identified a void. To be successful in real estate, buyers and sellers needed ongoing access to better information so that they could understand when and how to take calculated risks, identify hidden windows of opportunity, and know which trade-offs would yield the best possible outcomes. Delivering this kind of information and helping my clients make faster and smarter decisions became my mission. Leveraging a decade of experience in strategic consulting, business development and client management, I set about transforming Toronto’s real estate experience from one of confusion and frustration to one of clarity, confidence and success. Every day, I get to apply my skills in advanced analytics and customer insight to one of my greatest passions – helping people buy and sell real estate – and I couldn’t be happier. With a team of dynamic real estate professionals by my side and at your service, I’m here to help you enjoy the experience and get the outcome you deserve. Let’s get better acquainted. We can chat by phone or meet for coffee. I have a list of Toronto’s best coffee shops up my sleeve! Mark always puts his clients first. Searching for a house in prime Toronto locations is an exciting, but also a very competitive and complex journey. This is why it was important to us to find the right Realtor who is an analytical thinker, a strong negotiator and who takes a client first approach – Mark embodies all of these skills and exceeded our expectations. Mark’s in-depth knowledge of the real estate landscape and competitive insights on the sought after neighbourhoods helped us make informed decisions. What stands out about Mark, is not only is he a strategic thinker, but he made us feel like he truly cared about our experience and took the time to build a strong relationship with us with a no-pressure approach. He would provide updates and communicate with us around the clock, he always did his homework on each property that was of interest to us and he provided sound advice. In addition, Mark’s attention to detail helped us uncover pertinent information during the negotiation process so that we could make fact-based decisions – we were certain that any other Realtor would have missed such important details. We couldn’t be happier with the results from working with Mark – he helped us confidently land our dream home in a top neighourhood. Not only do we consider Mark a true professional, but he has also become a friend to us. - Alicia L. & Habeeb A. Mark is simply the best. As first-time home buyers in Toronto, we couldn’t have been happier with our experience. What sets Mark apart from others in his industry is his innate ability to understand the exact needs of his clients. He also always makes himself available with calls, e-mails and texts around the clock. While the process of finding a home can be time consuming and challenging; we always had confidence in Mark, as he would communicate updates daily and even went as far as sending hundreds of letters out to owners in our preferred locations. Ever since Mark successfully found our home, we continue to have a great relationship. Not only has he referred a number of professionals our way for renovations; but, Mark has become a trusted friend we know we can depend on for years. - Jaclyn P. & Lorne R.
Mark loves real estate and it shows. He embodies the level of service that all agents should aspire to! He showed himself as a true professional, which he demonstrated through his responsiveness and commitment to “doing his homework”. Mark combined this with his excellent negotiation skills, which yielded excellent results in the sale of our condo. - Jennifer & Alicia L.
It’s a great feeling when your house sells in under a week. And that’s exactly what Mark achieved on our behalf! Mark is the consummate professional––knowledgeable, forthcoming and always ready to go out of his way to be helpful. The information package he provided (his Home Value & Insights Package) at the outset was comprehensive and unique –– a blend of qualitative and quantitative information that reflected both his analytic skills and a whole lot of hard work. It was a pleasure to work with him and it is a pleasure to recommend him. A final thought: Mark is an exceptionally nice guy! - Judy & Harry A. Being a first-time home buyer in Canada, I really had no idea where to even begin the home-buying process. A friend of mine referred me to Mark, who then guided me through the entire process. After an initial meeting with Mark where I conveyed to him what I was looking for, he immediately set up a property search using an online platform, so that I could get instant notifications when something came up in the area I was interested in. I finally got my eyes set on a condo and Mark had a great strategy that allowed me to quickly finalize the transaction. Mark also provided me with some excellent referrals to professionals who were extremely helpful in the completion of the purchase. Overall, the home-buying process could not have gone smoother and I would highly recommend Mark to anyone who is looking for a new home. As first-time home buyers in Toronto, finding the right home can be stressful, but working with Mark we were able to find a dream home we wouldn’t have thought possible. Mark’s ability to understand our exact needs, and his no-pressure approach were valuable qualities that helped us through the process. He listened, made us feel as if we were his top priority daily and never pushed us in a direction we didn’t feel comfortable going while also giving us his honest and expert opinion. We are very thankful for all Mark has done for us to find our new home and would highly recommend him to others! -Sarah M. & Kevin S.
It has truly been a pleasure working with Mark. He helped me find and purchase a larger condo in downtown Toronto. I gave him very strict criteria to work with and he found just what I was looking for. Mark guided me through the search and negotiation process, keeping me well informed at all times. He asked all the right questions and made sure I was comfortable with his strategy and approach. Mark is committed to providing his clients with exceptional service and when the deal is done, he is still there, checking in from time to time – Mark goes the extra mile! 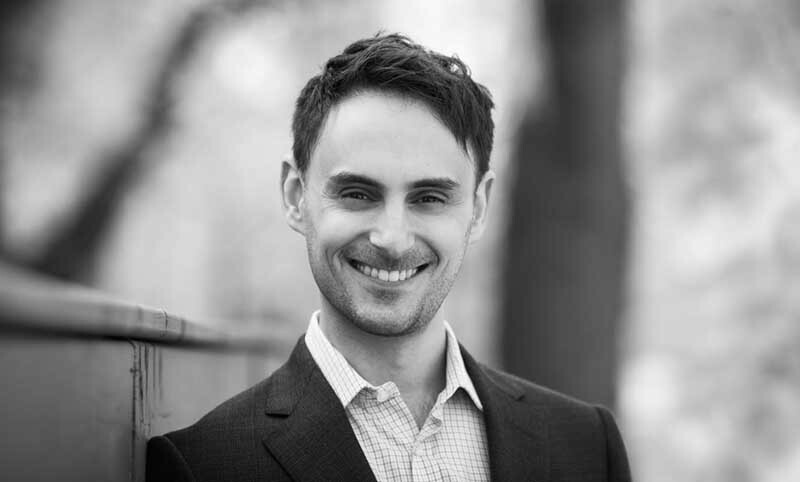 I would recommend Mark Lebovits to anyone looking to buy or sell real estate in Toronto. I will be sure to use Mark for my future real estate dealings. My wife and I were looking for an investment property. As first time landlords, we had no idea what this would involve. We had some ideas on what we were looking for. Mark took that information and was able to identify the most suitable properties. At the time, the market was very active so he also helped us not only find the one that would work for us, but gave us the advice needed so that we would be successful in our purchase. We appreciate all the advice, above and beyond just purchasing our first investment property. It has been a real pleasure working with Mark. He helped us find and purchase a Toronto condo and then rented it out for us. Right from the start, he asked all the right questions and made sure he understood our needs and wishes. During the process he was incredibly informative and helpful at all times. We found him to be committed, professional and honest. As well, his attention to detail from beginning to end was impeccable. We would recommend Mark to anyone looking to buy or sell real estate in Toronto. We will be sure to use Mark for any future real estate transactions that we may undertake. - Dana R. & Yonatan Z. Mark is a great agent that helped us find our new home. He gives his honest opinion, is fair and always has your best interest at heart. He’s very respectful of the properties we visited, always on-time and is someone you can rely on. We highly recommend his services and we will definitely call him again in the future. - Melanie A. & Andrew A. Being first time landlords, we were very apprehensive about the process of selecting a suitable tenant. Luckily, we were introduced to Mark whose patience, commitment and professional approach completely put us at ease. He was always available when attempting to reach out to him and took the time to fully explain anything that we did not understand. We thoroughly enjoyed our experience in working with Mark and there is no question that we would recommend Mark to anyone looking for any real estate need! I’ve had the pleasure to work with Mark on countless consulting projects in the Real Estate and Retail sectors. He is extremely service oriented and applies a customized, client-centric approach to every account he works on. I really admired his ability to craft actionable and successful solutions for our clients. I learned a lot from Mark in the time we worked together and I would be happy to work with or alongside him in the future. I highly recommend working with Mark. He very much stands out in regard to client service both in terms of responsiveness and understanding as well as providing strategic insights that helped drive the success of a number of higher profile projects. Mark is very detail oriented in his work while being a creative thinker and strong problem solver. As well, I’m proud to be an active donor and member of Leadership Sinai’s Board of Directors. Leadership Sinai is a branch of the Sinai Foundation that strives to shape the future of the Sinai Health System through philanthropy, by organizing events, and by educating people about the programs, research and medical care at Mount Sinai Hospital, Bridgepoint Sinai Health System, The Lunenfeld-Tanenbaum Research Institute and Circle of Care.